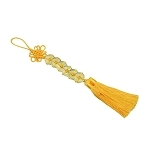 This Feng Shui charm is consisting of 8 Chinese coins with red tassel. 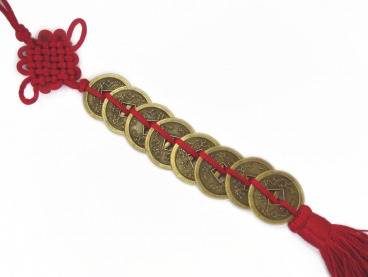 8 Feng Shui coins are used to activate good flying #8 White Stars that is in charge of wealth. Each Coin is approx. 1" in diameter and those coins are thick coins. It is approx. 14" in length by measuring the red tassels together.